We probably shoulda put a graphic warning on this … but yeah, that’s Ramona Singer﻿ heading down the well-beaten ‘Housewives’ path to Big Apple bachelor Harry Dubin‘s lips. We got these shots of Ramona and Harry devouring each other’s faces in NYC. We’re told the booze-fueled makeout sesh went down around midnight Friday at Pomona restaurant in Midtown. 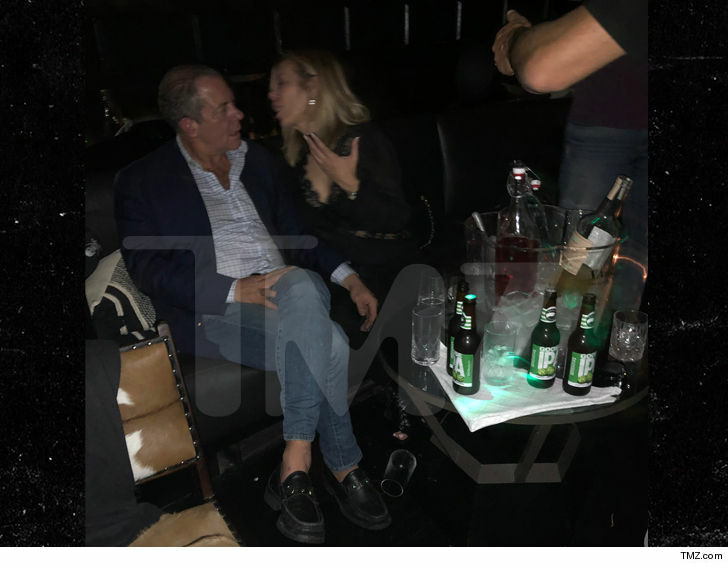 The ‘RHONY’ star — clearly single and ready to mingle — hooked up with Harry in a lounge area of the hot spot, locking lips most of the night … according to witnesses. We’re told Tinsley Mortimer was also there, but wasn’t engaging in any softcore PDA like this. Ya gotta hand it to Harry … the dude must have something going on, having now hooked up with nearly a handful of ‘Housewives’ — from his ex-wife Aviva Drescher to former flames Sonja Morgan and Luann de Lesseps. Might be time to expand your dating pool, bro.